I read this article and found it very interesting, thought it might be something for you. 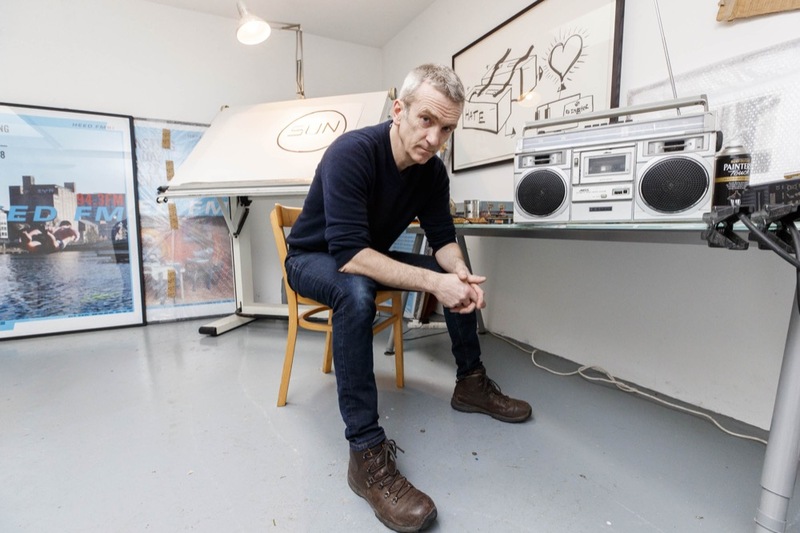 The article is called Sound Underpinnings: Garrett Phelan – Free Thought FM and is located at https://www.totallydublin.ie/arts-culture/sound-underpinnings-garrett-phelan-free-thought-fm/. 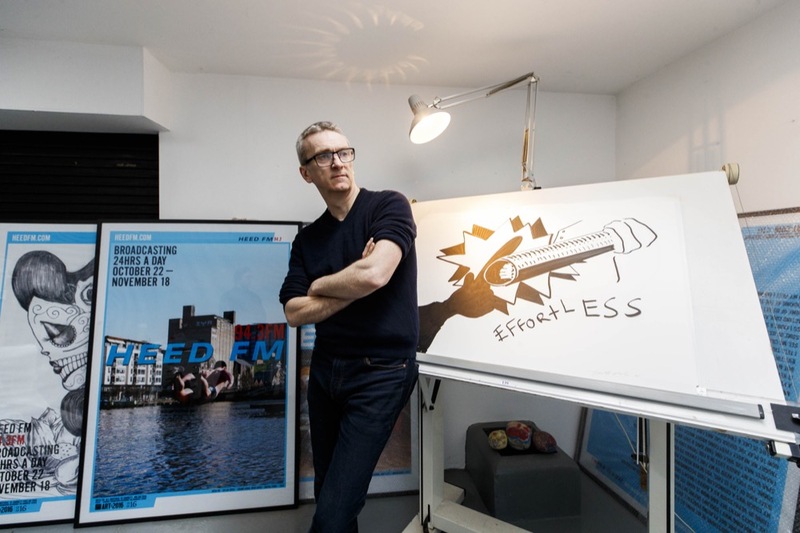 If you visit the Douglas Hyde Gallery this month, you might become a guest on Free Thought FM, a new exhibition by conceptual artist Garrett Phelan that tackles the class system and inequality of access to education. The genesis of Free Thought came from Garret Phelan’s previous project. Heed FM was a sound portrait broadcast over the course of a month in which Phelan talked to Dubliners aged between the ages of 18 to 25. Topics ranged from accents to political activism to dog breeding. Heed FM was an attempt to share young people’s voices and experiences. Over the course of recording the segments, Phelan became increasingly aware of the class stigma and financial differences that made higher education difficult for people in working class areas. Though it may share DNA with his previous work, Free Thought FM is an even more ambitious project. 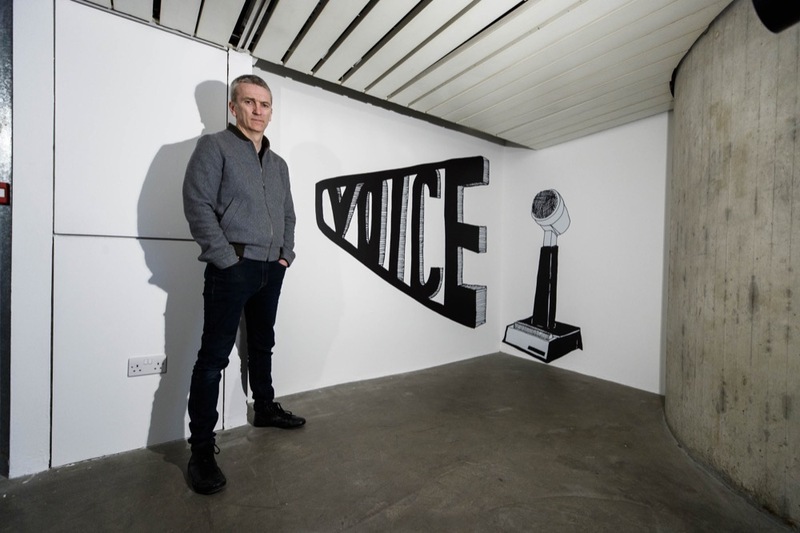 The exhibition can be split into three levels; the marketing materials, which Phelan and his team have disseminated over Dublin city with the aid of a top class marketing agency; the gallery space, which is adorned with vinyl replications of Phelan’s artwork, and of course, Free Thought FM itself, a live broadcast radio station that Phelan will man six days a week for a month. It’s rare to find an exhibition in which the marketing materials are an integral piece of the work, but that’s just what Phelan and company have done. Instead of putting Phelan’s name front and center, the posters and online advertisements offer useful advice on SUSI grants or the CAO application process, as well as the frequency for the station. The broadcast itself will find Phelan conversing with people in the gallery about Ireland’s class system and the resulting disparities in higher education. Sometimes he’ll be talking to well known city advocates like Emmet Kirwan or Andrea Horan. 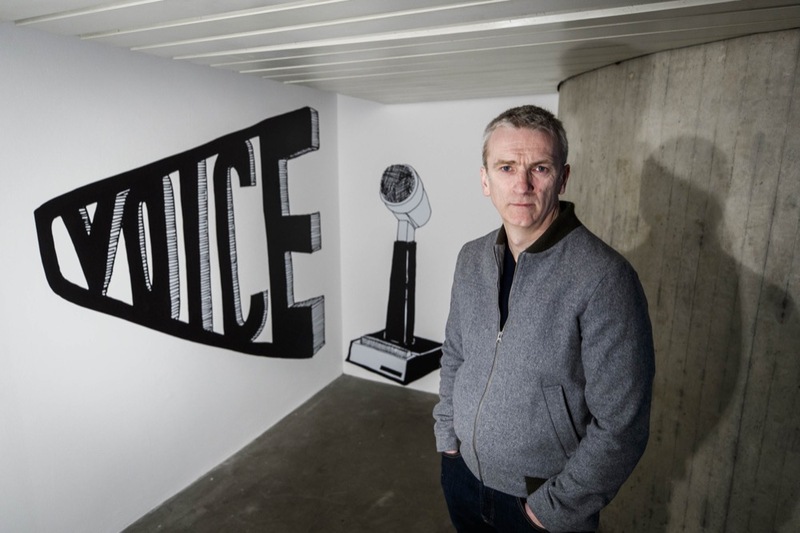 More often, Phelan will leave the confines of the gallery to talk to people on the streets of Dublin, or on Trinity Campus. Though it might seem like a caustic critique to mount a project about class division in the heart of Trinity College, Phelan has chosen the venue because of his great affection for the area. He’s loved the Douglas Hyde Gallery from an early age, and finds its location to be a fascinating bridge between Trinity and the city at large. It’s not just education that Phelan wants to bridge the class divide on, but art spaces too. Every day, thousands of people pass the Douglas Hyde Gallery, and Phelan aims to get more people walking through its doors. He sees the open and participatory nature of Free Thought FM as a way to encourage engagement. 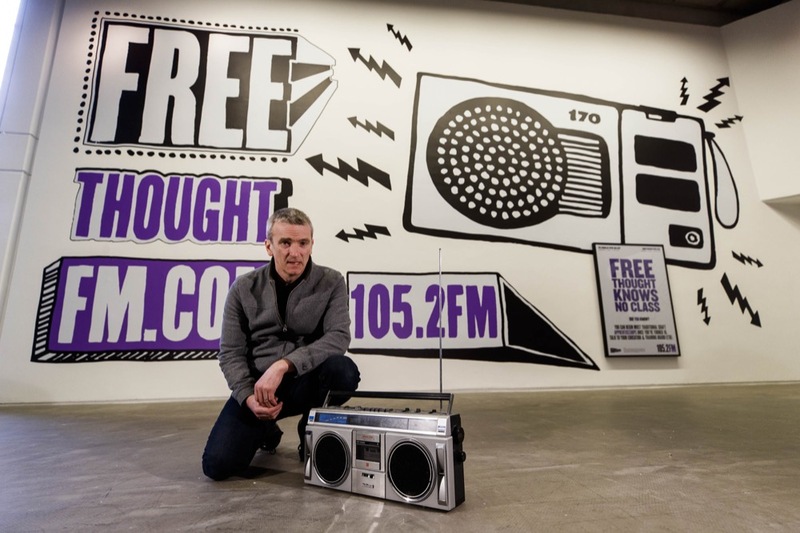 When we meet in Trinity campus on a Tuesday afternoon, Phelan is incredibly excited for Free Thought FM to begin broadcasting. He doesn’t show any hint of trepidation in hosting over 100 hours of live radio. Free Thought FM exhibition runs in the Douglas Hyde Gallery until May 25. The radio broadcast will run until April 23rd on 105.2FM. 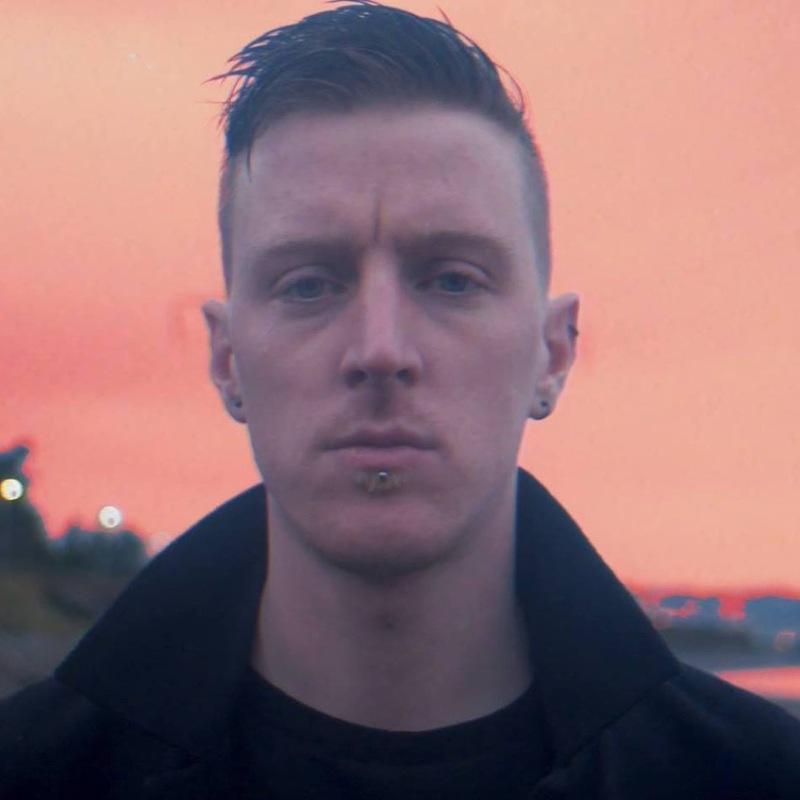 Cork rapper and beatmaker Spekulativ Fiktion will be one of those joining Garret on Free Thought FM during his stint in the gallery. How did you get involved with Free Thought FM? A great Cork man, Fintan O’ Callaghan, discussed the project with me and I was glad to be involved. Can you tell us about your experiences trying to pursue higher education? Is there any particular aspect of these issues that you want to highlight during your time on Free Thought FM? With education in Ireland, in general, I feel a lot of people get left behind. No two of us think or work the same. If someone struggles, with the way they are thought and expected to learn, that can seriously hinder their life path.